There are a lot of things that people struggle with in today’s culture. We all have fear that we need to overcome. I will help you have the courage to overcome those fears and how it can change your life for the better. The Courage is Inside of YOU! Our culture has created a society of negativity in this world. Turn on the tv, news, radio and all you will hear is what is wrong with this world! You must have courage to move forward in your life today. I remember in 2012 when I sold my business of 22 years and decided I wanted to become a Coach, trainer, author and keynote speaker. During the process of transition, I questioned myself many times if I made the right choice. I allowed fear to pop into my mind and question if I would be able to do it? The challenge I experienced was to attain the confidence and decisiveness to put my momentum in forward gear to move forward. I realized if I was going to become the person I wanted to be it’s up to me! I knew I could make it happen if I had a plan in place. My purpose of getting in this business was to make a difference in people’s lives. The reality is we all want hope in this world. As a High Performance Coach I see as people gain higher levels of energy, clarity and courage. This makes them more equipped to overcome the fear in their lives. 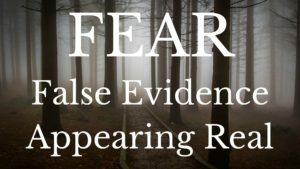 Remember FEAR stands for False Evidence Appearing Real. High Performance Coaching allows individual a means of succeeding beyond standard norms consistently over the long term. It is the feeling of full engagement, joy and confidence that comes from consistently living from and within our full potential. High Performance in our lives is the result of heightened levels of clarity, energy, courage, productivity and influence. The challenge today is not to live as our society is living. But instead decide it is time to be courageous and make the bold move to live to your highest self in your life. You have the capability to be a high performer each day. Decide today to live with courage to seek your dreams, goals and ambitions you have in life. What bold action do you need to take to make your dreams come true? I believe you will achieve! and make a difference in the world. Don’t miss your chance to hear from my Sales Coach. Be part of a free webinar. Learn more here.